Physical games for kids are a great way to get little ones engaged in their learning! 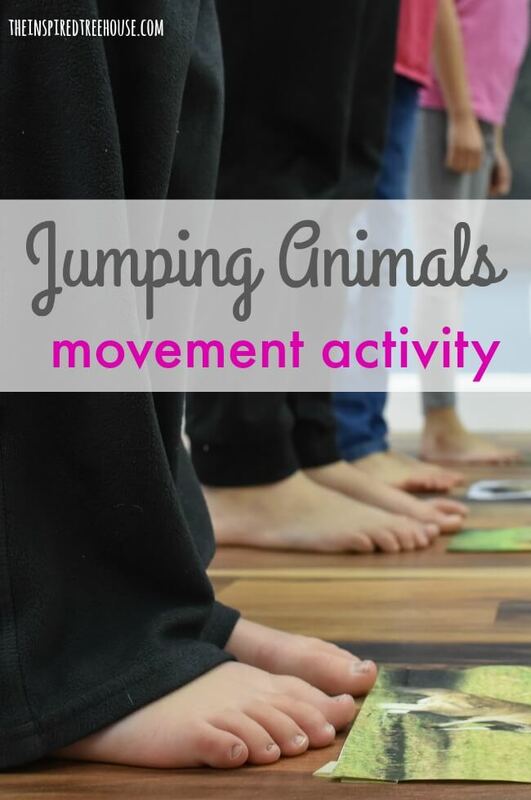 This whole-body movement game is perfect for kids of all ages. It’s always awesome when you can work language, cognitive, or academic concepts into physical games for kids. It gets them moving and learning and that kind of learning is the kind that really sticks! To close out our animal series, we have a game that will have your kids jumping like animals found all over the world! You know how we roll around here — MOVE TO LEARN! Today, we will be jumping long and high like kangaroos, fast and low like bunny rabbits, from all fours like frogs and, for a challenge, as far as we can like monkeys! Is jumping still challenging for your child? Check out these ideas for teaching your child how to jump. This activity is straight from the pages of our book, Playful Learning Lab for Kids! 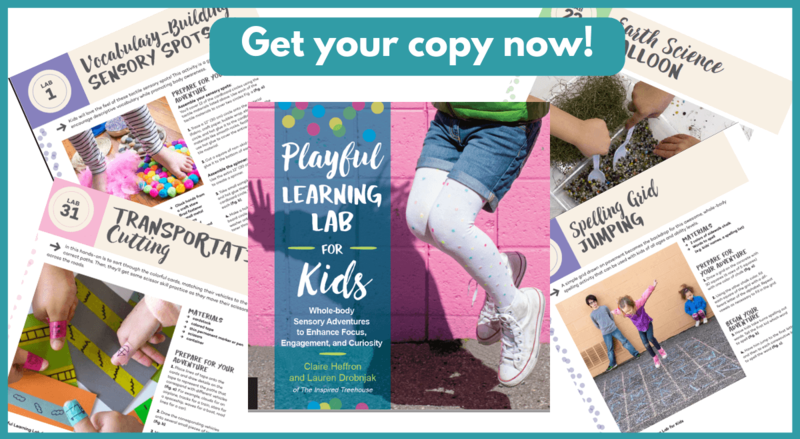 Get your copy today and learn how to use this activity as part of a whole-body math lesson to target the concept of measurement. In the book, you’ll find ways to maximize the sensory experience in this activity and other fun ways to use this activity for learning. Put 4 strips of masking tape on the floor that are each about 10’ long. Write the names of the following animals, each on its own piece of paper: kangaroo, rabbit, frog, monkey. Tape one of the pieces of paper on the floor at the start of each line of tape. For the kangaroo, use the marker to mark the tape at intervals of about 3’. For the bunny, put a mark at every foot. On the frog’s line, place a mark every 2 feet. And for the monkey, leave the tape blank. 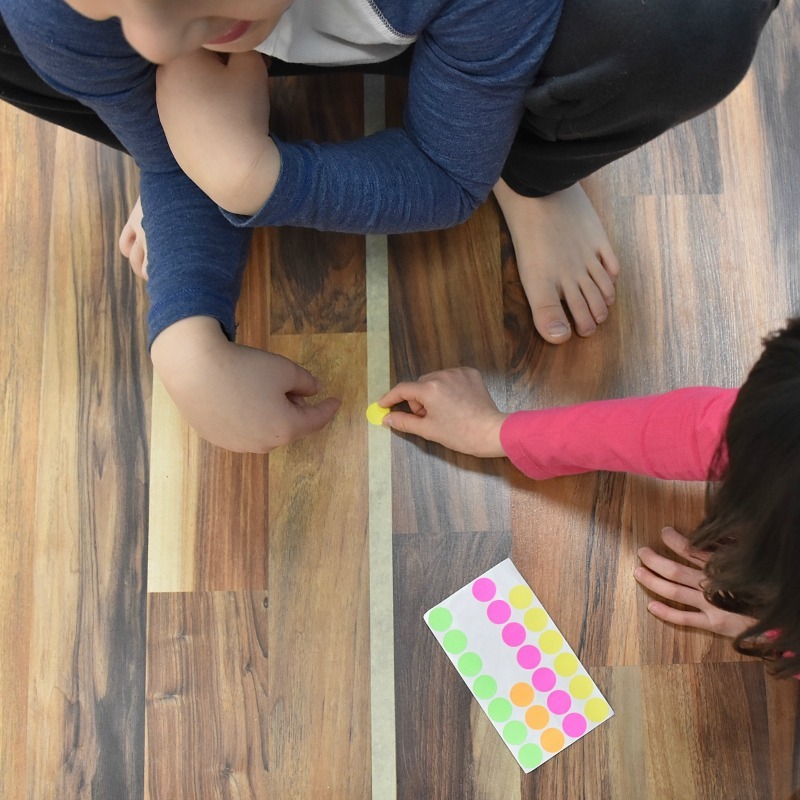 Talk about how each animal would jump and then encourage your child to make her way across each of the lines of tape jumping like the designated animal. Long, high jumps for the kangaroo. Short, quick jumps for the bunny. Low jumps on all fours for the frog. See if she can hit each of the marks you’ve drawn on the tape. On the monkey’s line, see how far she can jump, mark it and see if she can beat her distance the next time! -Practice these skills outside using sidewalk chalk on the driveway! -Challenge your child to think of other animals that jump and come up with descriptive words to describe how they jump. -Be silly and put the animals in reverse! Can your child jump like the animals above, but backwards? This sounds so simple and fun! Love it!! You show a child looking to be no more than 3 but you are summing he can read. Have you actually tried this activity with real toddlers ? I think not. When I read this, I assumed I would post a picture of the animal and ask the children to jump/run like that animal.